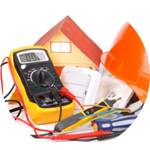 Looking for an electrician in Waltham Forest? The Handy Squad is here to help, no matter the situation. 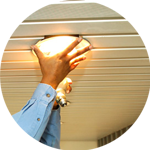 No job is too small for our team, we are qualified electricians ready to replace your hard-to-reach bulbs and install your new sockets in your living room. 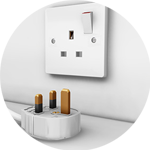 Are you a landlord or home owner who needs a EICR? Click here to find out more. Waltham Forest being more urban-like in the south and more country-side in the north, is part of the London Borough of Waltham Forest, formed in 1965. It was one of the host boroughs of the London Olympics in 2012, with the Lee Valley Hockey and Tennis Centre and part of the Olympic Park providing an ongoing legacy. 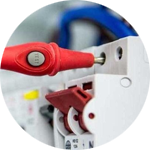 Our experienced electricians can tackle any situation, from replacing transformers to swapping light fittings, so why not give your local Waltham Forest electrician a call? 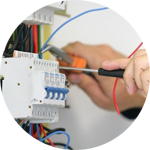 To book an electrician in your area, give us a call on 0800 012 12 12. Alternatively, request our services by filling out our online booking form.